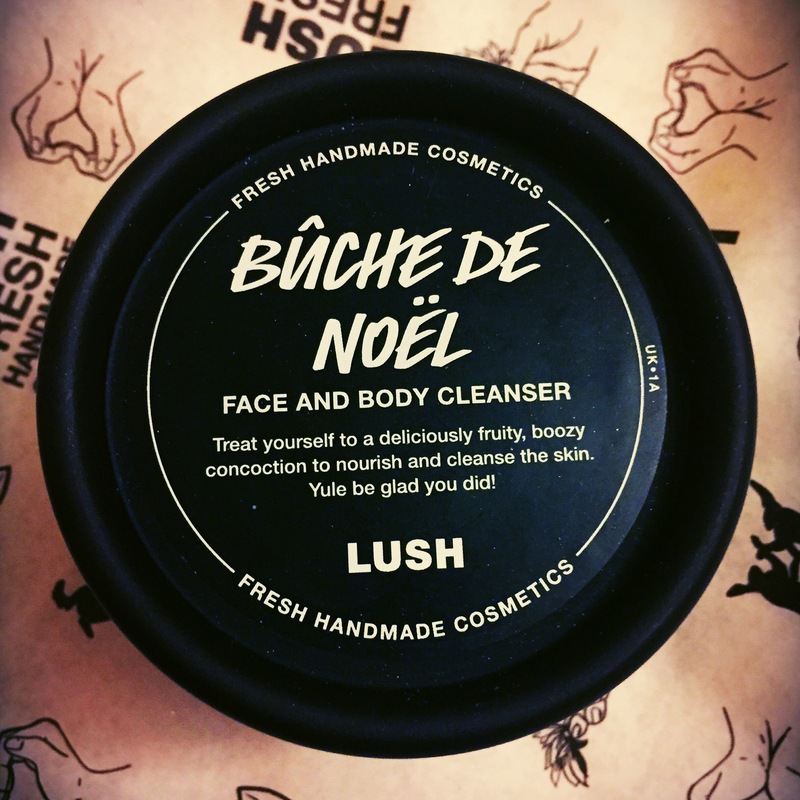 So I was a little apprehensive about trying the Buche De Noel facial cleanser, which I think may have been mainly due to its appearance, as its not the most beautiful product that lush has to offer. But seeing as this was a limited Christmas item, while it was still around I decided to go for it and give it a try anyway. I am however a huge fan of fresh facial cleanser. I just personally prefer to know that I am putting fresh products on my face rather than harsh chemicals you tend to find in other brands of cleanser. All of the ingredients used are lovely and fresh and the fresh face cleansers contain little to no preservatives which on the down size does unfortunately mean they only last for around 3 months. Buche de Noel has a fantastic list of ingredients including, satsumas, cranberry and sweet almond oil. This give the cleanser a very spicy fruity scent. It’s scent is very Christmassy and suits the Christmas range of products very well. I personally am not a huge fan of this scent but I think this is due to the fact I tend to like the more sweet or citrus smelling items. To use the fresh cleansers you need to take a small pinch (about a grape size) in the palm of your hand and add a small amount of water. 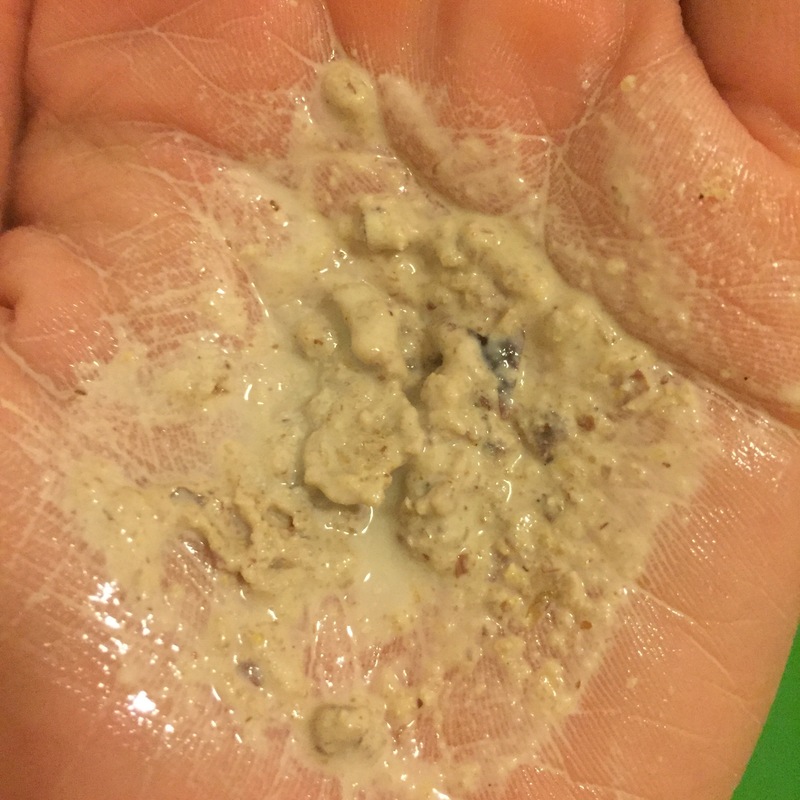 Then mix these together to create a paste which can then be massaged over the face before rinsing off with clean water. I love how this products creates a lovely milky paste which glides on to the face beautiful. 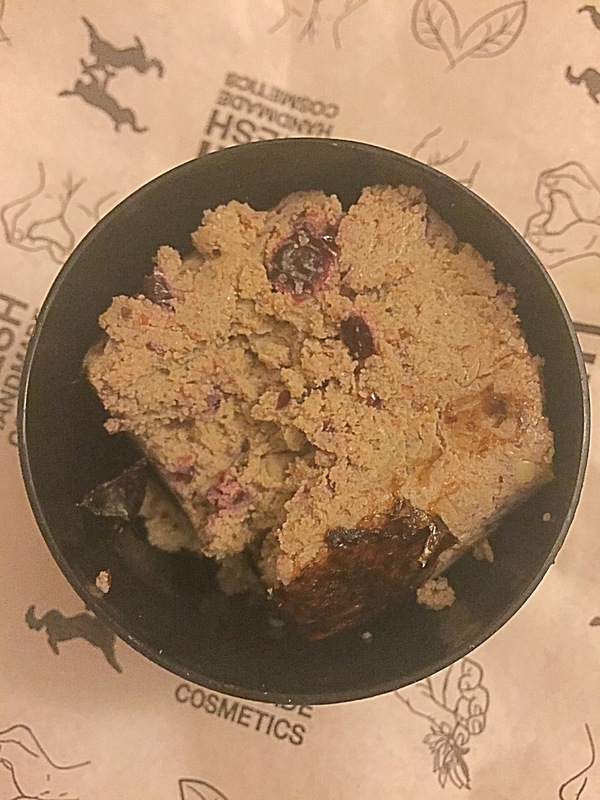 Buche De Noel also gives a slight exfoliation when rubbed onto the skin, which gently buffs away dead skin and dirt, leaving the skin looking fresh and brightened. Buche De Noel also contains cocoa butter which helps to leave the skin feeling soft and restores balance of the completion. Once rinsed off I did find that my skin felt thoroughly cleansed and also felt very soft and fresh. Although this defiantly isn’t one of my top products mainly due to its scent and appearance, i am defiantly going to enjoy finishing off the rest of the tub. Top tip- pop half of the cleanser into the freezer (to keep it fresh). Once you have used the other half, defrost the frozen cleanser and enjoy using that. 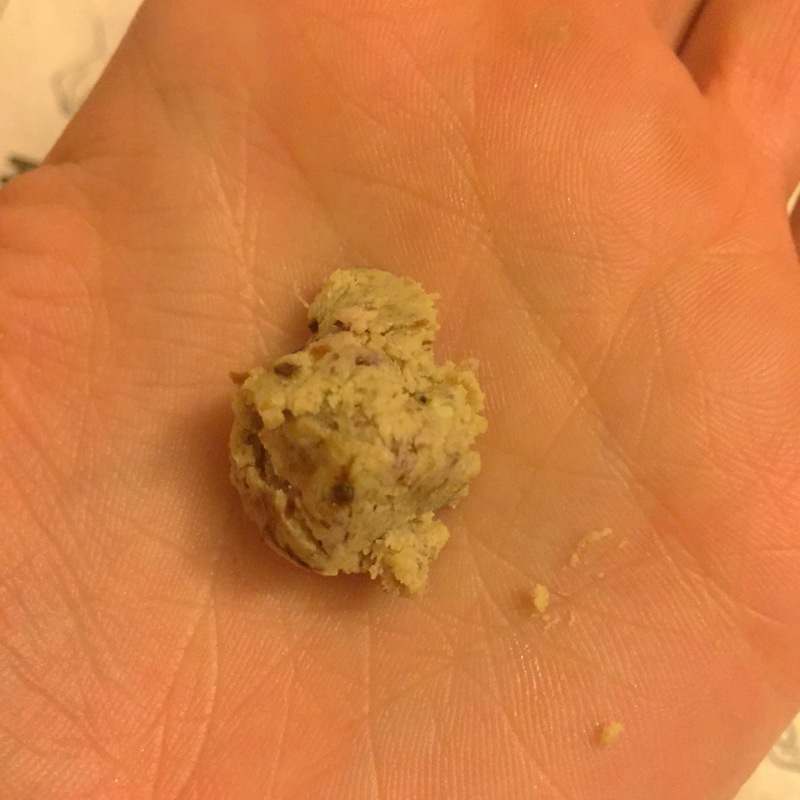 Ingredients – Ground Almonds, Kaolin, Glycerine, Fresh Satsumas, Dried Cranberries, Cocoa Butter, Brandy, Almond Essential Oil, Vetivert Oil, Cedarwood Oil, Linalool, Cinnamal, Perfume, Nori Seaweed, Candy Pine Tree. Angels on Bare Skin is my daily cleanser and I couldn’t be without it! Have tried some of the the others – Herbalism, Aqua Marina and Dark Angels but didn’t like any of them nearly as much. This one looks very similar to Angels but I’m guessing it has a much stronger smell. I’d be intrigued to try it but I’m a creature of habit when it comes to facial products!